Propagation kits and tents include all the basic essentials you need to get started, including products such as propagators, T5 lights, CFL lamps, scalpel, clonex, formulex, growth mediums, intake fans, square pots and a thermo-hygrometer. These bundles ensure that initial set-up is simple. Our BAY6 75x75x130 Mother Tent Bundle include all the basics you need to help keep a mother plant healthy. They are perfect for those just starting out or wanting to buy everything needed in one easy bundle. 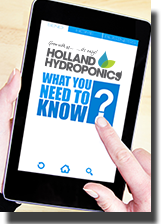 Unique to Holland Hydroponics the Clone Kit. 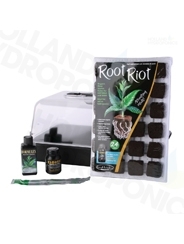 Holland Hydroponics Exclusive clone Kit but with Root Riot blocks instead of Rockwool.